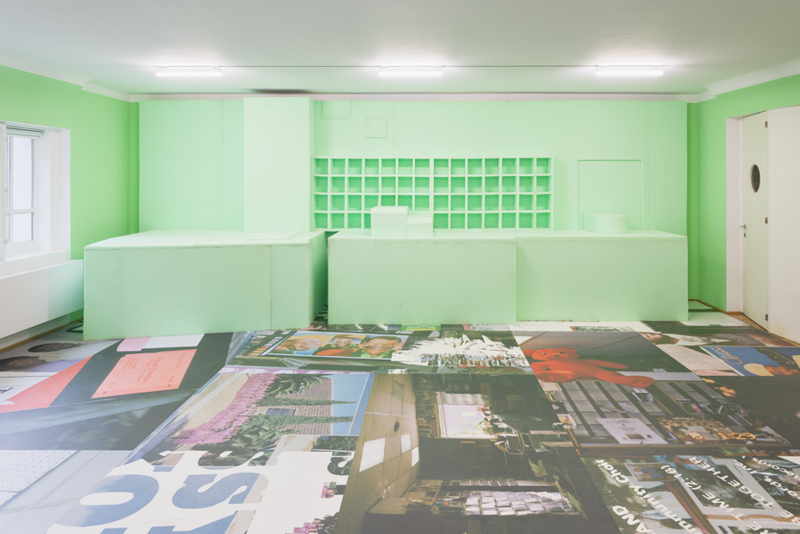 Martine Syms uses video, installation, and performance to examine representations of blackness and its relationship to vernacular, feminist thought, and radical traditions. Her research-based work draws on her extensive studies of theoretical models concerned with performed or imposed identities, the power of the gesture, and embedded assumptions around gender and racial inequalities. 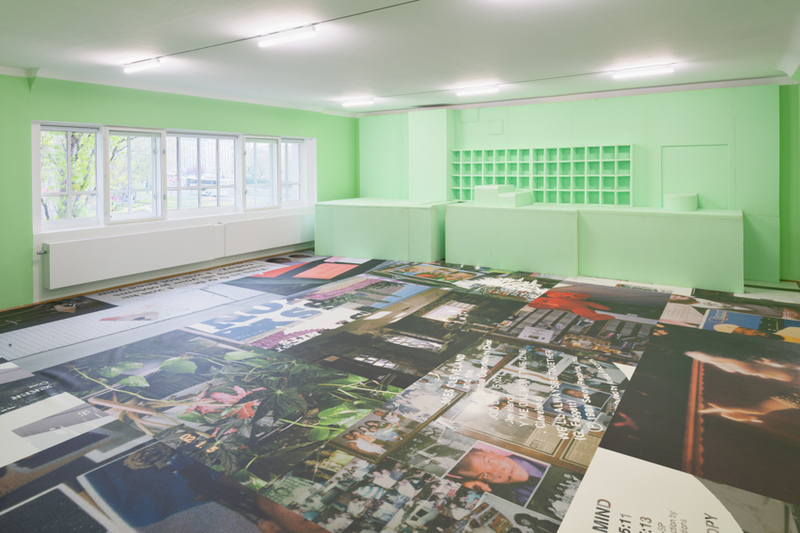 For the Secession, Syms has created an immersive installation comprised of a sculptural intervention, a sound installation, and a photographic collage, with each element referencing the Detroit-based Simpson’s Record Shop. Expanding on Syms’s interest in black-owned businesses as sites of interdependence and self-determination, the new work highlights the Simpson’s Record Shop as one such business. Boon pays tribute to the enterprise and creative energy with which Dorothy Simpson ran the record store, a center of the local community’s cultural, social, and economic life and gathering spot for its residents, from 1966 until 2018. 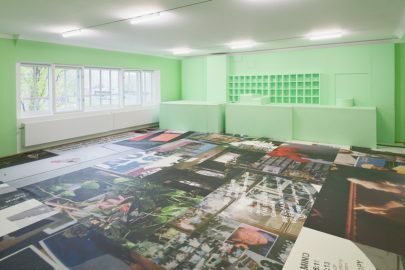 The photographic collage on the floor is composed of snapshots from Simpson’s Record Shop. The numerous photographs of the owner and people from the neighborhood that covered the store’s walls illustrate its long history as a family business with deep roots in the local social fabric. 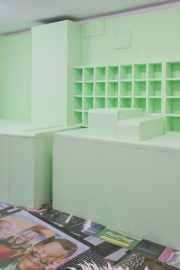 The green foamed plastic installation is an imaginative and abstracted reconstruction of a wall inside the store: the same material is used to soundproof recording studios and rehearsal spaces, connecting the scene to the places where music is made. The title Boon—a slightly antiquated word for a benefit or blessing—is a nod to Syms’s conviction that audiophilia is a form of love that spans individual people, places, and cultures, what she describes as a way of speaking through listening. The third element is invisible yet has a palpable physical presence: a sound installation compiling forceful and dynamic solos by the Detroit-born percussionist Gayelynn McKinney that Syms has edited for this purpose. Syms’s interest in Detroit stems from its position as a long-standing hub of black culture and life, and is as multifaceted as her works, which are characterized by the weaving of fictional strands and (autobiographical) facts into hybrid narratives. Detroit was not only the home of the legendary Motown record label and the origin of techno music; the city’s dominant automobile industry also made it a key destination of the twentieth century’s “Great Migration,” during which around six million blacks moved from the agrarian South to the industrialized Northeast, Midwest, and West. With the decline of American manufacturing, the more recent past has seen Detroit undergo equally dramatic changes, from the hollowing-out of black neighborhoods to the emergence of gentrifying presences within the city. The work also allows Syms to reflect on the history of her own family. 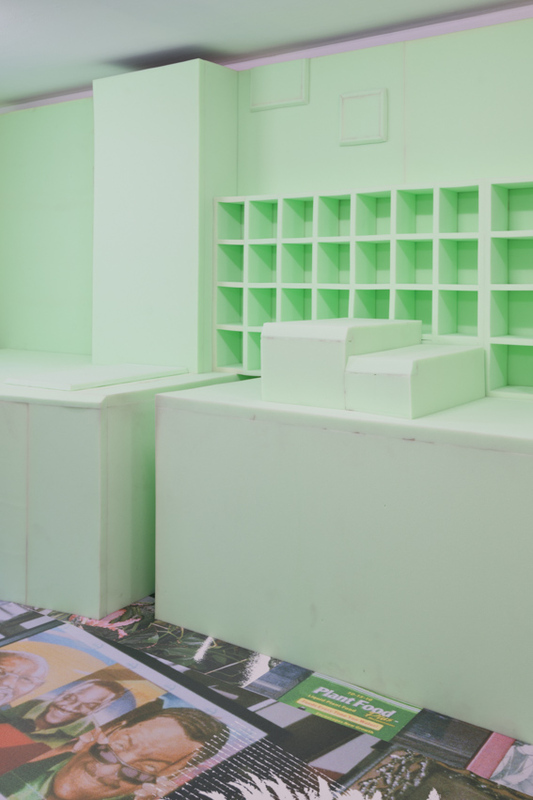 Martine Syms was born in Los Angeles in 1988 and lives and works in Los Angeles. 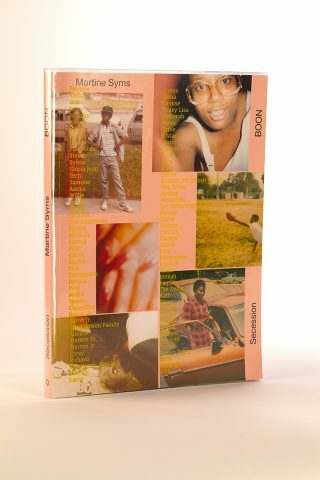 Released in conjunction with her exhibition of the same title at the Secession, BOON extends artist Martine Syms’ engagement with visual culture and the life of the image. Referencing the walls at Simpson’s Record Shop in Detroit (the subject of her exhibition at the Secession), which the owner Dorothy Simpson covered in photographs brought in by neighbours and community members, the book is composed of found photographs, many of them taken by the author’s father. The book considers the two lives of the photographs: first with the original photographer, and then with the artist, and how they form not a collection of sediments for the archive, but active, rendered thought.